Hello everyone, I hope your week has been a happy and productive one. 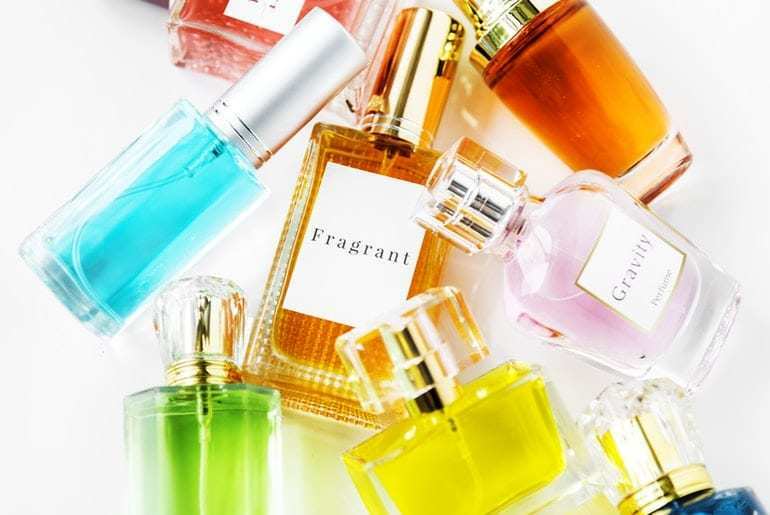 In this week’s round-up we look at how certain fragrances can make you more productive, some little tricks you can use to ease the pain of car rental over the holidays and how you can budget well without missing out. If you haven’t checked out our 200th Installment of the FlippingHeck.com weekly round-ups then what are you waiting for? We released TheProductivityDirectory.com – it’s your one stop shop for all things productivity. Feel free just to browse or add your favourite resources too. If you’re looking to save some money for a rainy day, pay off a loan or maybe buy a bigger house then it can be daunting to know where to start. Stephanie over at the Military Travel Mama blog sent be over her great budgeting tips and I was thrilled when she asked me to contribute too. There’s 43 tips currently but it’s being added to all the time so head on over and bookmark it and let Stephanie know your best budgeting tips. As we’re coming to the holiday season you may be thinking of hiring a car so that you can get back to your family instead of braving public transport or the old rust bucket you drive around town. CarRentals.com has put together some great (and slightly cheeky) tips to make sure that you get the best car and save yourself money too. If you’re a blogger looking for new people to connect with, or maybe you’ve taken up a new hobby and are looking for advice and inspiration then I’m sure your first thought will be to check out some blogs. Given the number of them on the internet it can be a bit daunting to try and find them but there are ways you can improve your searches to the most relevant and Blogging.com has some great tips on how to whittle down the blogging pool. We’re always being told to do a job that you love – but would you cut your salary in half to do so? I did and I have to say that I’m more that happy (and feeling healthier for it too) and it would appear that 50% of Americans would do the same as well – wow! I’m not sure if that means people are earning enough that they can afford to lose 50% of their wages or that they’re that unhappy they don’t care about the financial impact. I use a lavender spray when I can get to sleep and it sends me right off, and I often feel more productive when I catch a whiff of coffee but there are many other fragrances that can help you get stuff done. The guys at FrangranceX.com have done all of the nose work for you and have listed 12 scents that will help everything from memory to stress – and you’ll have a lot of these around the house already – bonus! If you want to increase your brainpower and productivity, as well as wafting some nice smells around there are other little things you can do that can make a huge difference. From things to the right desk lamp bulb to the perfect temperature this infographic has some great tips to help you get your brain in gear. If you’ve been wondering about yoga but don’t know where to start the HobbyHelp.com has put together a comprehensive guide to get you started. Don’t think that yoga is all about aligning your inner chakra and chanting, it can be a really intense workout if you want it to be and can help increase range of movement, improve your balance and co-ordination and reduce stress. I do a pilates class each week and it’s really helped with my back issues -and certainly reduces stress. If you’re not convinced then check out the Hobby help article which lets you know all the benefits, the types of yoga, the equipment you’ll need and a few basic poses. You don’t have to rely on a clunky PBX (Private Branch Exchange) system in order to run your business phone network – they’re expensive, require regular engineer visits in order to upgrade systems or add new users and (in my humble experience) tend to go a bit wrong at the worst time possible. Purchasing a home is now a dream for most people living in the UK as rising housing costs, no enough new properties being built and an increase use of the property market for rentals you need either a massive deposit or a large salary to purchase your own home – and don’t forget that the advertised price doesn’t include Government Stamp Duty, legal fees and the rest. In this interactive guide TotallyMoney tallies up the true cost of buying a house. A happy workforce is a productive workforce and you don’t even need to spend thousands of pounds on a ball pit, 24 hour pizza delivery and a pool table to keep your employees happy – it’s the small things that count. In their article nuvro look at several things any company can implement no matter their size or financial situation which will make your employees feel valued and happier and in turn they will work harder for you.